The Britax Max-Fix II Car Seat is a fantastic Group 0+/1 Car Seat with more safety features than the names Father Christmas has on his delivery list! If you are looking for a Car Seat that will protect and cocoon your most precious pumpkin, then the Britax Max-Fit II is the obvious choice for any parent. Why should I choose the Britax Max-Fix II Car Seat? The Britax Max-Fix II Car Seat can be used from day one (using the included newborn insert) until your cheeky monkey is 18kg which is around 4 years in age. Now that’s a product offering longevity! This Group 0+/1 Car Seat is rearward facing which has been proven to be the safest way for children to travel. It can be easily and quickly installed using the ISOfix anchorage points in your car or using your vehicle’s seat belt. The Britax Max-Fix II Car Seat is more compact than most in this category so takes up less room in the car: ideal if you have a whole family of monkeys in the back seat! The clever lightweight design makes it easy to transfer between cars if granddad is collecting the little peanut to take her to football practise or to his ballet lesson. All the small but really important details you’d want in a child car seat have been added to the Britax Max-Fix II. It provides a hassle-free 5-point harness which adjusts easily with just one hand saving time. When installing the Car Seat there are special indicators that confirm when you’ve positioned the seat correctly. 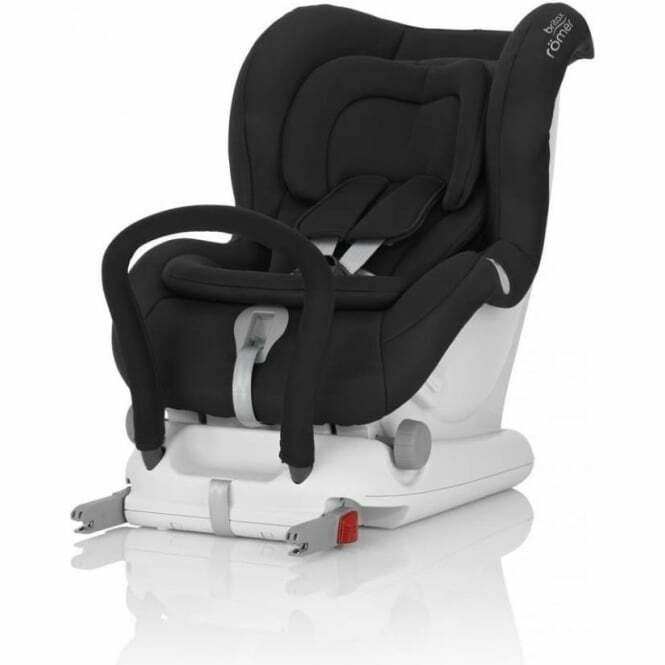 Your nipper can then enjoy the multiple recline positions; a machine-washable cover that can be quickly and easily removed and the height adjustable headrest which all add to the comfort of travelling. In order to hold the harness to the sides of the seat so that your jumping jellyfish can clamber up and in without getting tangled up, the harness retainers work wonders and there's a newborn insert which keeps baby's body in a flatter, more comfortable ergonomic position. But that's not all! There are also chest pads which spread the force of impact across the body during a frontal collision, helping to reduce more severe injuries. 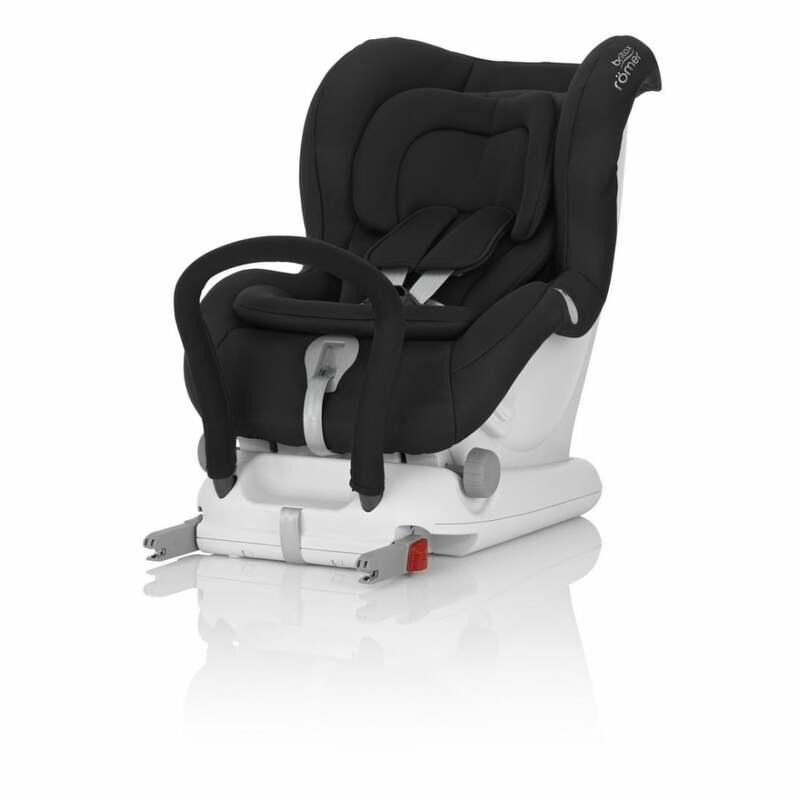 Your nipper will also benefit from a wider back of the seat which protects their head and neck during a collision. The deep padded side wings mean maximum side impact protection and a foot prop ensures a more comfortable journey for your child. Finally, the Britax Max-Fix Car Seat comes with a height adjustable support leg which provides extra stability via the vehicle floor. Like we said, all the small but really important details! What are the specifications of the Britax Max-Fix II Car Seat? How do I install the Britax Max-Fix II Car Seat? The Britax Max-Fix II Car seat is installed using the ISOfix points in your car. The ISOfix system connects to your car's ISOfix anchorage points so installation is safe, manageable and thoroughly undemanding. The Max Fix II Car Seat also has installation indicators which confirm that the Car Seat is safe and secure. Where can I read a review of the Britax Max-Fix II Car Seat? *Please note that due to a change in the Britax logo design, the logo on the product may vary from this image. The design of the product has not changed. Does the Britax Max-Fix II Car Seat come with a warranty? Yes. It comes with a 2 year manufacturers warranty against manufacturing or material defects (excludes polystyrene inserts) valid in the UK mainland only. The Britax Max-Fix II is more compact than most.